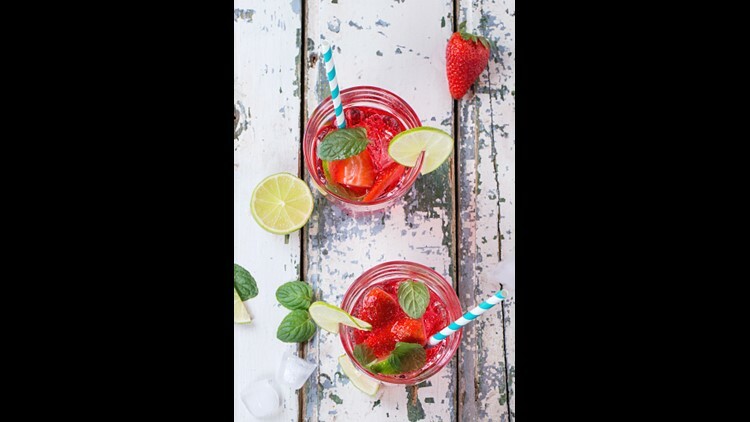 Whether you're throwing a BBQ or need relief on a hot day, this strawberry-watermelon smash is the perfect refreshment. A special shout out goes to celebrity chef Tim Harley and the Montgomery County Strawberry Festival for this recipe! 1. In a shaker glass, muddle the strawberries and basil until chunky. 2. Add the remaining ingredients and shake vigorously. 3. Pour into desired glass and garnish with a watermelon wedge. Want more recipes like this? Follow Great Day Washington on Facebook, Instagram and Twitter for our daily recipes, health tips, fashion & more!